I just dug this up from an animation I was working on in 2010. Following lunch on the second day of the Digital Publishing Innovation Summit, Jason Wagenheim of Teen Vogue took the stage to discuss what Teen Vogue’s mobile strategy to increase audience and traffic. As Kremins of Epicurious pointed out, mobile ad engagement is key while the reader is in store, when it matters most. It is at the moment of shopping while in the store that Teen Vogue can help retail advertisers connect with its audience. Wagenheim pointed out that 17 year olds have smart phones and she influences the rest of the family, the 17 year old with the smart phone is powerful force that advertisers must successfully target. He stated that by 2018, internet traffic will be 35% mobile and 65% desktop. Social networks function as a mobile gateway, referrals are 25% social, 33% search based and 39% direct. 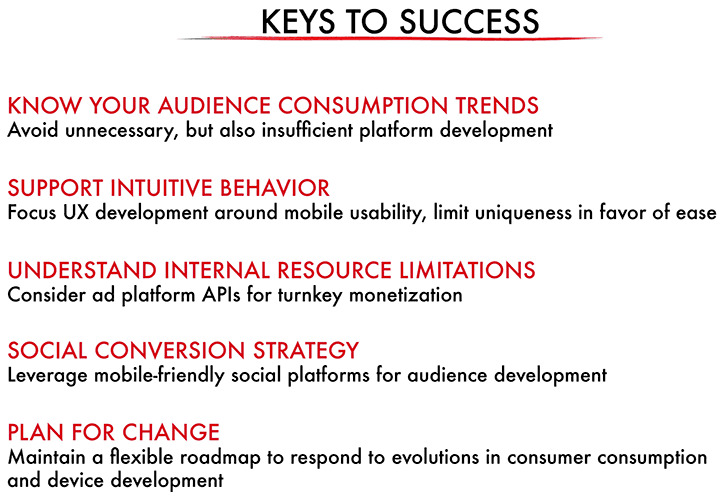 Although native apps present the advantage of third party APIs, Teen Vogue decided to focus and optimize for mobile web. Since doing so there was a 33% lift in unique visits largely due to batching image resize for mobile web. By 2018, less than .01% of consumer apps will be financially successful. Wagenheim presented a case study in which a mobile product launched in unison with a sales event. The launch was designed to showcase partner content and drive retail engagement. Targeted coupons were presented via the mobile web app at the moment of sale. The teen would take a picture of the dress and share it along with the coupon id and sales skyrocketed. Wagenheim did make a point that business partners must use their own mobile tools for an ad campaign to succeed for everyone. Teen Vogue partnered with a couple of developers from Taiwan to create “me girl” that lead to 4 million installs. Users use “me girl” to dress an avatar, see what an outfit looks like and then purchase. Regarding “shorter vs longer” she pointed to the two top stories from 2013 and 2014. In 2013, it was a data visualization simulating “World Births and Deaths in Real-Time.” Whereas in 2014 it has been Ta-Nehisi Coates’s “The Case for Reparations,” a 16,000 word article. This demonstrates that it’s not about shorter or longer being better, but rather presenting compelling content in the right format. She presented the highly successful visualization of red lining in Chicago, because it doesn’t present the data in words, but rather a time-based visualization onto a map of Chicago to visually show the information. Amongst the weakest speaker at the summit was Mike Germano who presented a Vice commercial, talked about being a Yankees fan and then went on to give a motivational pitch on the importance of fear. He was very charismatic, but really did not present anything of value. And I missed the final speaker Paul Rogers of Liverpool FC who discussed the need of thinking global while acting local as a form of media engagement. Carolyn Kremins of Epicurious was the fifth speaker on day two. She began by presenting data on the rise of mobile, however advertisers have not figured out how to reach mobile users. The same banner ads that work on the desktop are employed on mobile, however they do not work on the mobile platform. Generally, when people click them, it’s by accident. She did point out that native apps can be highly successful as the Epicurious App demonstrates – #1 in food and lifestyle, 450k sign ups for recipe box in first six weeks and people spend 28 minutes per user over the last month. Due to the nature of mobile, Kremins feels that the future of mobile advertisement is in in-store engagement. Apps that present content – information and coupons when the shopper is walking through a store. 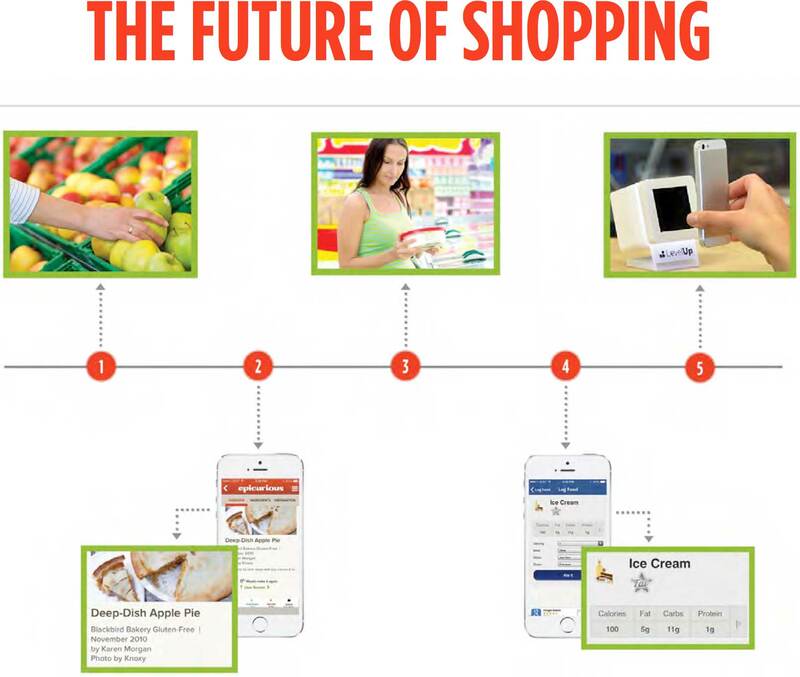 Kremins went on to discuss mobile geo-targeting via iBeacon as the future of shopping. Epicurious has partnered with Target to launch this emerging form of advertising. iBeacon uses blue tooth to connect with the phone app. The iBeacons will be strategically placed throughout the store to present a series of messages from a Welcome message upon entering, a lifestyle message and then an offer notification. Studies show that 2/3 of consumers are okay with marketers using online behavior and information to personalize ads. Hence a personalized shopping experience is likely to be a boon. Rather than receiving unwanted ads randomly upon opening an app, the app will launch at the appropriate time to present useful deals at the moment of shopping. Kremins stated that “contextual shopping is coming. Users are 19x more likely to engage an ad and 16.5x to use an Ad in store and a satisfied user is 6.5x likely to keep the app. The key to Ads is to present a value to users and create transparency of opting-in. The value of the perpetually connected shopper can not be underestimated. Laura Kenney of YouBeauty.com followed Kremins. The primary point of Kenney’s presentation “What a Difference Your Data Can Make” is the effective use of quizzes to gather data on their users and spin the data into personalized content. She used the term “Information Diet” coined by Clay Johnson in referring to the YouBeauty.com website as the plate, and the content the nourishment. Users engage with the personalized and favorite content first followed by the desert content. Kenney feels that appropriate uses of quizzes can make websites into data machines. Quizzes may be used to connect users with brands while presenting personalized valuable information to the user. YouBeauty.com employs quizzes to present personalized content to its users and to connect users with appropriate brands. 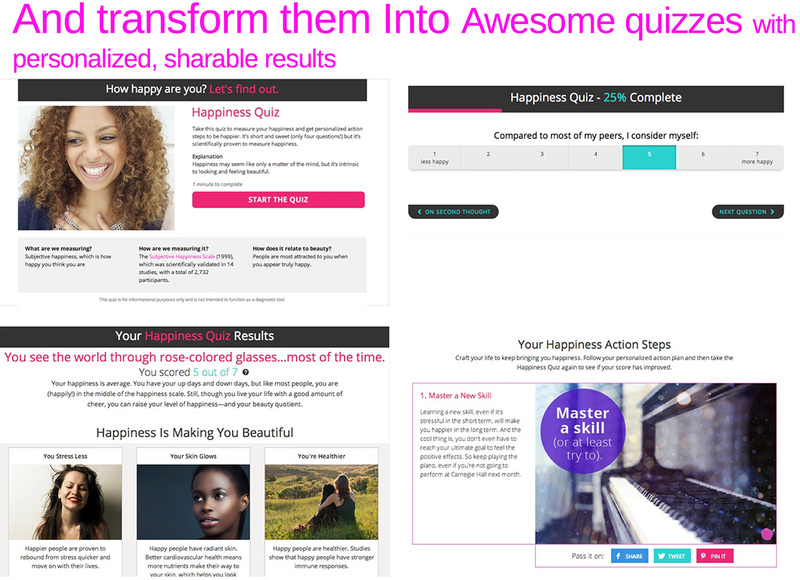 YouBeauty.com makes quiz taking fun and presents the data collected in a useable format. YouBeauty.com knows that their readers are obsessed with body shape, personality, attachment style, lipstick and healthy hair. This insight is a tool to organize and present a successful website. A key to YouBeauty.com’s quizzes has been making quizzes fun to take and useful for the reader to see the quizzes output. Of course as with all these brands, YouBeauty.com has uses with social applications and referred to Pinterest as a “slow burn” whereas FB is a quick spike. Kenney did warn of too much information and the need to use refined data metrics to understand what information is useful and what works on the site and to get rid of what is not working. Through the quizzes, YouBeauty.com knows its users. This is not merely landing on a page or clicking on a video and viewing the beginning, but actually tracking the depth of consumption for pages as well as videos. Clark identified the peak hours for user spikes as 8am, noon and 6:30pm. Amongst the top sellers for Harper Collins last year were Veronica Roth’s Divergent series. Each book is approximately 500 pages. Consumers desire immersive reading. Regarding “only fresh content” there is an enduring backlist of opportunities, because the classics sell. Amongst the lasting top sellers are The Alchemist, 1988, Brave New World, 1932, To Kill a Mockingbird, 1960, Their Eyes Were Watching God, 1937. And regarding the last myth, although self-publishing presents a great opportunity to new writers, Harper Collins value proposition can not be matched, as demonstrated in the image below. Self publishing can not match HarperCollins value to its writers. On day two of the Digital Publishing Innovation Summit, I missed the initial session “Data & Technology Influencing Corporate Culture” by Charlie Weiss. So I started off the day listening to the very entertaining Cindy Jeffers from Salon presentation “Reaching the Next Generation of Content Consumers.” Jeffers stated that younger people are moving to anonymous and ephemeral sharing platforms rather than using FaceBook or Twitter. She discussed the rising use of Whisper and Secret – social networks that disassociate from public identity in which messages tend to be raw, present catharsis and negative emotions. She also noted that news tips and corporate leaks are common on these anonymous sharing applications. Since anonymous sharing presents a rapidly growing sector because one isn’t tied to her/his identity, it requires greater vetting. 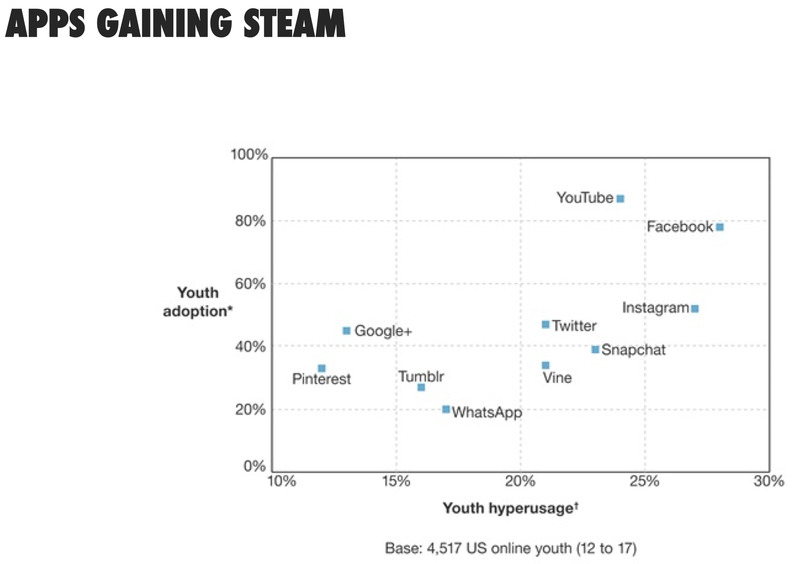 Amongst 18 to 22 year olds, expiring or ephemeral content through Slingshot or Snapshot is becoming very popular. Users can have fun sharing funny things and selfies without worrying about future consequences. These applications are even built to not allow screen capture to ensure the ephemerality of the content. Research shows that the vast majority of content is light-hearted and a superfluous way to connect with friends. Although sexting has been in the media, users that were polled showed very little sexting. These tools represent an outlet without lasting consequences due to archived content. Higher Education in the US is in dire trouble. Between degree mills, low retention rates, and unemployment rates for degree holders, there is an obvious disconnect between the amount of money we spend in higher education and the return on the investment. Yet, the high price tag of education clearly doesn’t paint the full picture. Despite a surge in MOOCs a couple of years ago, their development and usage is currently at a rapid decline. To boot, while ebooks are beginning to surpass print books in trade, that same trend has still not transitioned to the classroom. This is largely because the education system has not kept up with technology and buzzwords such as “flipping the classroom” are often used in place of action. How do we bring about more rapid change so that the education system keeps up with the rapidly changing world? Where will educational publishing in the next, 5, 10, and 20 years? What role do publishers play in improving the higher education system and ensuring the success of our students and, thus, our future? Wind went on to point out the enduring power of a college degree – it puts the stamp of approval from recognized universities on the successful student. The degree demonstrates that the individual is employable. Massive Open Online Courses (MOOCs) do not do this and the target audience – those who do not have access to education are not the primary users. 80% of MOOC users already have degrees, so the common use appears to be people seeking to expand their knowledge (however, the vast majority register and do not return). Wind stresses the need for schools to act on the phrase “flipping the classroom” and not merely use it as a buzz term. She feels that the future of higher education is not the tradition of in-class lecture and then the student goes home to do homework. Instead, the lectures are watched at home and the projects are executed in the classroom with the professor there to direct and assist. Passive learning does not translate to the workforce. However, actually “flipping the classroom raises the bar on teaching, because there are likely to be unexpected questions, moments that when the faculty’s knowledge is tested, because the classroom experience will not merely be a prepared lecture. Wind briefly discussed the ramification of education through the use of badges and analytics. Analytics may be used to make adjustments during the semester. Analytics should also be used after the student graduates to track where they are going. One example regarding the homogeneity myth is the popular show “Girls” in which the main characters are all white, don’t receive help from their parents and are not worried about money. One third of Millennials get money from their parents. Urrutia pointed out that grouped into Millennials are people in different life stages. Younger Millennials between 18-24 that have an 11% unemployment and an average salary of 30K, and older Millennials between 24-35 who have families and spending power. Fusion maintains a 500 person panel of Millennials to query. Through this panel, they have found that Millennials social priorities are education, poverty and public safety and their concerns are the environment, mental health and LGBT rights. Whereas older adults social priorities are education, poverty and physical health and concerns are veterans/military, the environment and public safety. He pointed out that regarding mental health, Millennials are a high stress generation that have grown up on opioids and stimulants. Another factoid that Urrutia shared is that the average mid-20s employee stays at a job 16 months. These are young adults searching for a passion and who desire collaboration and team work. What the media has popularly labeled the “Me Generation,” Fusion call the “We Generation.” 47% of Millennials in the U.S. donated to a cause in the past month. 87% donated to a non-profit over the past year. Urrutia confirmed Jeffers belief that brands are already using anonymous sharing apps. Fusion uses Whisper to get data at a granual level. Recently they wanted samples from college students on what drugs they use, what celebrities they follow. Data was gathered from colleges based on zip code. Urrutia wrapped up with an example of Millennial media intake through the success of a microsite revolving around people at the World Cup. Every evening a different topic was investigated through streaming video from a World Cup location in Brazil. 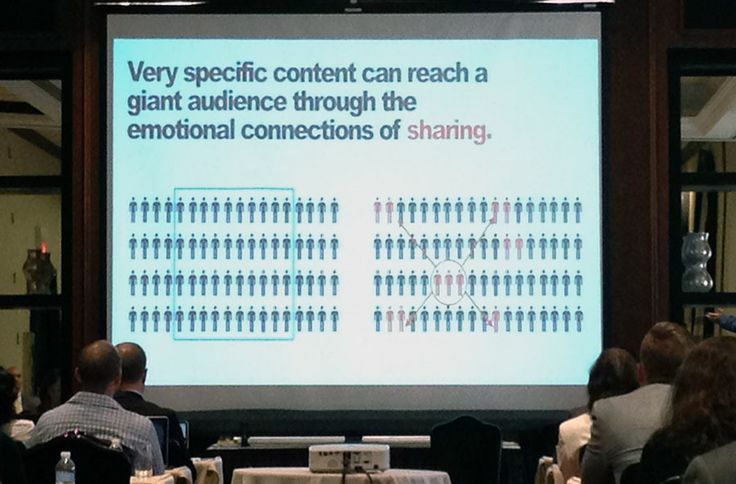 Very specific content can reach a giant audience through the emotional connections of sharing. Following Jacobson of The Blaze (see second post of this series), Nick Rockwell of Conde Nast presented “How Much does the Product Matter?” Without a doubt, great content is the key. This was a driving point amongst many of the presenters – that quality content will eventually pay off in sustaining readership and engagement. Of course as this is a digital innovation summit, the questions at hand are how to cultivate engagement on the web and across platforms. Rockwell presented a slide demonstrating how much effort goes into UX development. Conde Nast has 70-80 people working on user experience and amongst all the companies at the summit, some 750 to a 1000 UX developers which adds up to an estimated budget of $120 million. Add another big publisher and it’s easily $500 million a year going into user experience. However, a full-site redesign only generates a 7% lift in key performance indicators after 12 months. A 3 month recirculation optimization boosts session depth by 3.5% at best. Rockwell’s point was that all the UX investment isn’t paying off and more money should go into Ad design. He demonstrated how little ads have changed over the last 120 years by showing a banner add from the 1990s that looks like current day banner ads and then a newspaper ad from 120 years ago that was likely more effective. Considering ad space – television ads have 100% of the screen space, print magazines – 33-50% whereas web 5%. There is currently a lot of ad innovation happening through targeting, following clicks, but there needs to be more innovation in presentation. It’s difficult for me to gauge his arguments as I have Ad blocker on my browsers. I’ve discovered that friends without ad blocker have a very different web experience than my own. However, there has been innovation in content distribution that requires the viewing of ads. Due to my ad blocker, last NFL season, around mid-season I was shocked during my Monday morning ritual of seeing highlights when the videos would not load unless I turned off my ad blocker. And of course, Hulu has attempted to re-established the television scenario, but with multiple tabs open, I just switch to browsing or reading while the ads play out. I imagine that before long, the ads will pause whenever I switch tabs. We share to form community, because people are inherently social beings. We share to build personal brand. Inspiration, we like sharing inspirational, uplifting stories, one example is the batman kid in San Francisco. Humor – it’s inherently social. If one laughs or is sufficiently amused, it will be shared. Nostalgia – memories are social and present a snapshot of oneself and likely others. Capture the moment – related to memories and archiving / snapshot that is meant to be shared. Loguidice discussed the science to social… studying the real-time analytics to understand how content is shared. For example, a tweet will have the life span of an hour or two, whereas FB a couple weeks, Pinterest a few to several weeks. Following Loguidice, Tessa Gould the director of native advertising at The Huffington Post discussed the creating of successful native ads. Perhaps the underlying term is Authentic Advertising and the formula consists of appropriate advertising for your content that is informative and or entertaining. If it’s the wrong ad on the wrong platform for the wrong audience it is not only destined to fail, but could lead to a lash back by the readership. Gould presented The Atlantic’s sponsored ad for the Church of Scientology as a recent example of a poor match. The aftermath for running this ad was so bad that it was not enough to take down the ad, but The Atlantic had to write a letter of apology. (Even today, if you Google “The Atlantic Ad” it’s the first thing that comes up.) Gould summed up by stating that this was an ad that did not bring any value to it’s reader, either as information or entertainment, I’d say that it did worse than not bring any value as it caused so much outrage. So, authentic advertising is appropriate for the platform, reader and brand. A successful native ad is the collaboration between Trulia and Barbie. The Trulia online residential real estate site ran an ad for the sale of Barbie’s Malibu Mansion for $25 million. There was even a video interview with Barbie discussing her move. In the end, the mansion was taken off market and Mattel put out a new Malibu Dream House – great marketing. Trulia’s audience was surprised and entertained and it was a win for both Trulia and Mattel. Gould discussed the power of Infographics as infotainment that can effectively combine information and entertainment. 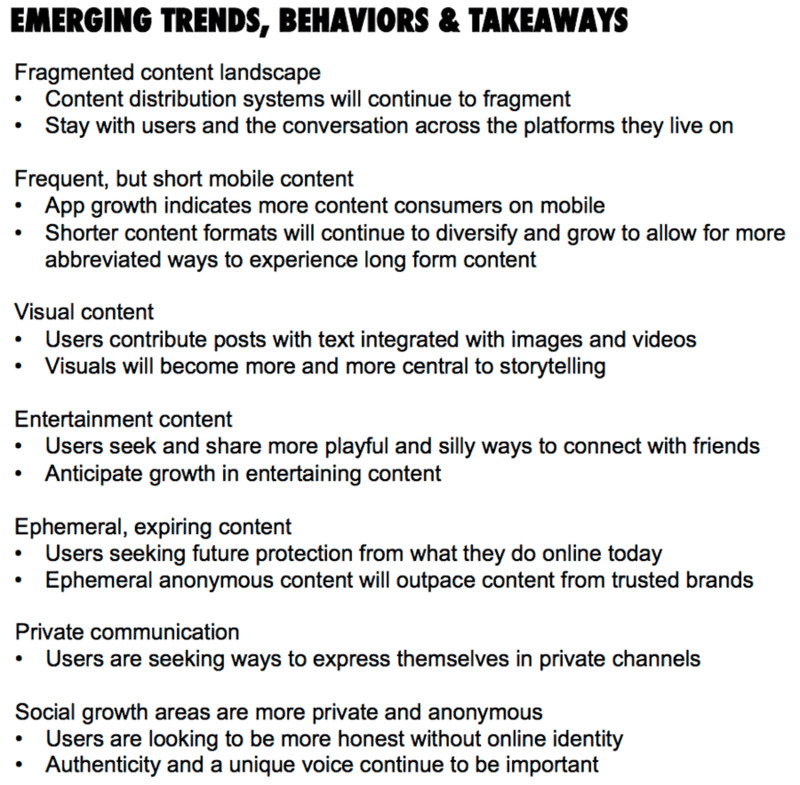 Viewers come away with a sense of having learned something while being entertained – the underlying goals. Does the platform and content fit together? Does it offer real value learning or entertainment? Is the content relative to the brand? In the recent past there was a focus on SEO, then social dashboard, now built into the editors used by online publishers there are buttons to switch content such as titles and images for the desktop vs mobile. Pinterest is huge at night, Sunday nights specifically. High quality, long form content will always climb to the lead and has the longest staying power. Following Kretchmer of LiveFyre (see the first part of this post series), Marty Schecter of Wiley presented a business plan in which the publisher is transformed into a sort of life guide. That is a life guide that attempts to influence or to maintain a presence in the consumer’s career arc – from higher education to career launch to skill maintenance and development to professional communication and outreach. Wiley sees itself as a “knowledge service” not merely a technical education publisher. It’s mission is to innovate with the customer and it does so by working with customers through the development of their products from wireframe to demo to beta to stable distribution and then product sales. Proof of Concept that includes smoke tests, lead users and the setting up of a test site to gauge interest. Live Demo that includes working with critical partners and early adaptors. MVP (minimum viable product) with the lead generation through free trials. Release of a mature product, distribute updates, generate conversation and engagement. Product Expansion by developing new services, up sell and cross sell. For Wiley, the target consumer is the individual who wishes to become a product manager. The product manager who has a technical background, a business degree and has startup experience. This is the individual who understands all the components that it takes for a product to succeed and can communicate between the various specializations from concept, design and tech to marketing to consumer. He wrapped up by making the point that in the digital world everything starts small and must be nurtured to grow and succeed. 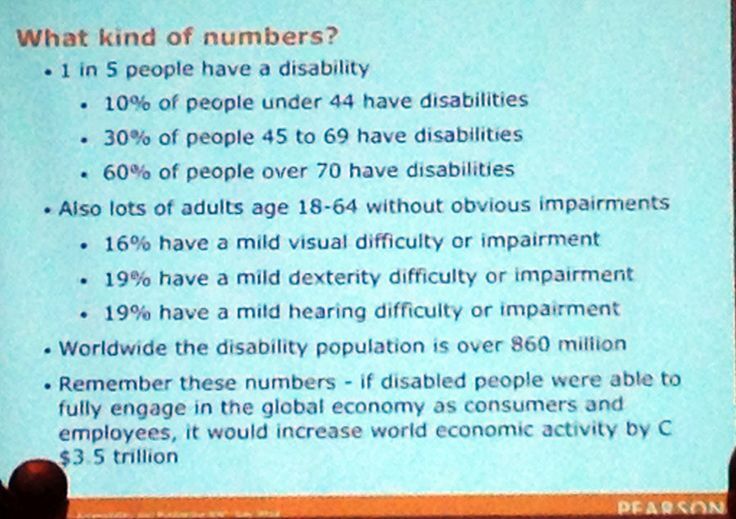 Following lunch, Rick Ferrie of Pearson discussed “Accessibility and Digital Publishing” and clearly pointed out that accessibility provides a competitive advantage due to an underserved global market, as illustrated in the numbers below. Data reflecting the need for accessibility in applications and the web. Ferrie explained that as books moved from print to digital, accessibility advocates expected things to get better. However, they did not (Flash has played a large role in lack of accessibility). Over the last three years aggressive advocacy has ramped up. As a response, content repositories such as NIMAC have grown and efforts such as Marrakesh Treaty have helped. However, Ferrie does not want to see repositories become permanent middlemen for the access of content. Hence content providers should provide the accessibility themselves. They may easily do so by planning accessibility as part of the product, and following standards and good coding. Accessibility is easy if it is built in during production, not as an after thought. Following the need for digital accessibility, was a millennial speaker, Kenton Jacobson of The Blaze which he announced as the single largest WordPress site. Jacobson focused his talk on the need for comments – how The Blaze used comments to build its audience and the evolution of its comment system through audience feedback. He pointed out that votes are much more common than comments, with merely a click of a button there tends to be 10 votes to every single comment. 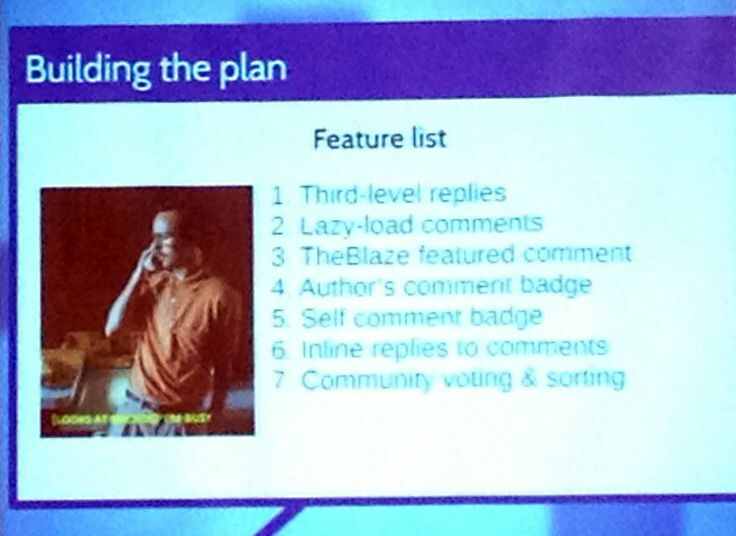 The Blaze of course employed AJAX to implement immediate commenting tools. Votes are used to sort the content. Jacobson’s underlying point was that users understand the system differently than you do and therefore must be consulted and listened to in order to build a successful publishing tool and a happy audience. The Blaze has focused on user comments to build its audience. It seems that a more appropriate name for the Digital Publishing Innovation Summit would be the “Digital Publishing Survival Summit.” I may be naive, but I did not expect that the driving topics of a digital publishing conference would be advertising and socialization. Today, I attended the first day of the two-day conference “Digital Publishing Innovation Summit” featuring speakers from Gannett, Scholastic, Harper Collins, Wiley, Pearson, Conde Nast… at the Marriott East Side in Manhattan. I went expecting/hoping to hear about revolutionary ways of producing and publishing multimedia content i.e. text, image, audio, video, data visualization for multiple platforms from a single source. That is to hear about the integration of multimedia for the web, ebooks and apps from a single click. That magical editor that allows for the integration of file formats to produce rich interactive content across platforms. No such luck, clearly the best bet is HTML5/CSS/JS and the modern browser… that much I knew. Instead the speakers focused on transformations that publishers have begun to make and will continue to figure out in order to reach a diverse audience across diverse platforms. Amongst the speakers there was a mix of old and new from long-standing publishing companies to digital native startups. I’m going to give a quick rundown of the speakers and what I took away from their presentations. I arrived late and only caught the last ten minutes of Gannett’s David Payne – “The Hard Thing About Hard Things in Media.” I don’t think that I missed much, because the wrap up was merely about the diverse challenges that publishers face today, most of which have been widely publicized over the last decade. Day 1 – Brain Prep – get everyone on the same page, look at goals, review information on stakeholders, available products, analyze the problem. The first day includes “lunch time theater” in which the participants enact prototypical stakeholders. The actors reflect the skill set, attitude, behavior and needs (personas are assigned a week ahead so actors may prep). Another portion of the first day is the “Amazing Race” in which the participants spend a few minutes with various apps, use them, try to figure them out. Participants consider the UX pyramid, from the bottom up: Goals, Tone/Expression, Personality, Promise. Day 2 – Prototyping and iteration using paper and stencil UX toolkit to make lots of designs. At the end of the day, the bake off presents the best idea to then make a paper functioning version. Day 3 – Usability testing with 6 diverse users. She pointed out that 6 diverse users will reflect 80% of what a larger test-base would present… 6 users can represent the target. Since it’s Scholastic, the development group may go to a school on day 3 to test with groups – 4 teachers and 5 students. Day 4 – Create higher-fidelity prototype and test again. Establish a roadmap for the product and future work – plan next lab, if the product is worth pursuing. The next speaker Jim Daily of Ebuzzing & Teads is a tool. He spent several minutes talking about and demonstrating video ads. “In-read” ads that are embedded in articles, they only play with sound when moused over, they have skip buttons which will make them disappear or social buttons to share… And a second type of video ad that opens from the top with the same behavior. Not very interesting or innovative, but Jim Daily did open by pointing out that he knows how to make money. No meat, but he was quick. Brian Perrin and Jim Hanas of Harper Collins discussed the lasting power of deep immersive reading. They pointed out that book revenues are now UP, both print and ebooks. Over the last several years there has been a difficult period of transition toward establishing ebook systems that have now begun to stabilize. They can now predict how many print and ebooks of a publication will sell and that print and ebooks work together for sales. People will pick up the hard copy to review it and later purchase the ebook. The print book acts as an ad for the ebook. What they are still working on is direct to consumer marketing and sales. Hence they have partnered with subscription services like Oyster Books and Scribd. Jordan Kretchmer, founder and CEO of LiveFyre was very entertaining and informative. In “Taking Back Your Community: How to Build an Engaged Audience” Kretchmer made a pitch for publishers to socialize their sites and steal back their audience from FB or Twitter. He pointed out that publisher’s content is making money for the social networks – people engage and share content through FB, so he considers these viewers as “leased” viewers since they really belong to FB. Rather than depending on the social networks for distribution of a publishers content, why don’t the publishers build their own channels that are visited directly. He pitched a socialization business plan of Content, Engagement, Identity and Monetization. Kretchmer presented Storify and Mashable as two content builders that are making the most of the web. Cnet as a great example for user engagement. So much of engagement today depends on connectivity – who in the audience is connected to one another and why, what do they have in common? Identity – who is the user, what will drive a user to write a comment? Monetization through user generated content. Examples include Nike using images by consumer to make banner ads. Univision with T-Mobile to create a platform for user generated content around the World Cup. As each speaker was given 30 minutes, this was only in the morning! I’ll continue into the afternoon on the next post.